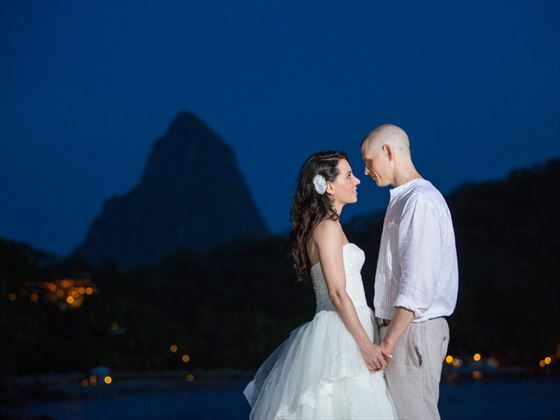 Let us familiarise you with some of the most popular choices for your wedding at Anse Chastanet. 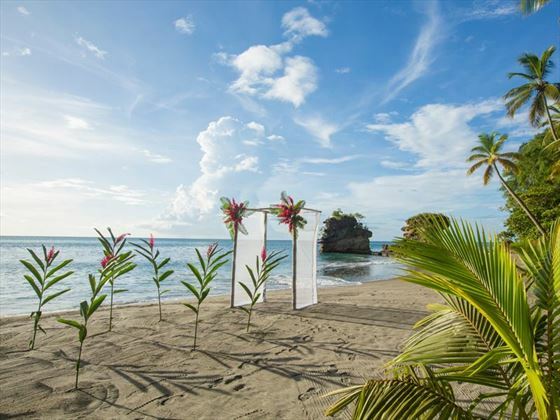 The 1/4 mile Anse Chastanet beach, with its gently rolling waves in the background, has several good spots to offer for a ceremony both for couples travelling alone or with a group of friends and relatives. If you’re looking for looking for something a little different then the is ideal. Located at mid - level hillside. 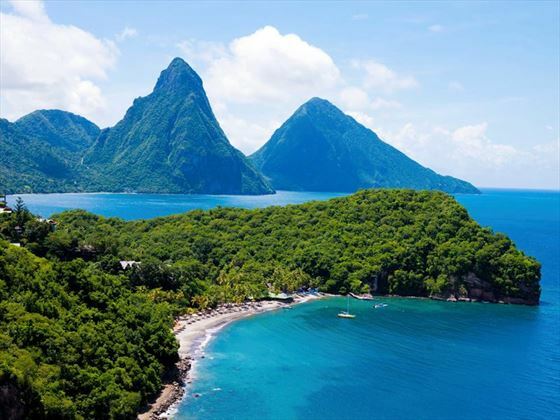 As the name suggests, it is an open style structure, clinging on the steep cliffs, surrounded by treetops and overlooking the north end of Anse Chastanet beach and the Caribbean Sea. Airy and cool, a good private location for bride and groom travelling alone or with a wedding party up to 20 guests. The remote Anse Mamin beach is accessible by the resort water taxi or the resort shuttle. Guests favour arrival by boat. Once guests, registrar and groom have arrived and are ready to proceed, the bride will arrive by water taxi making a grand entrance to begin the ceremony. Suitable location for couples with or without small or large groups. Please note that some wedding venues do carry an additional supplement. Please call for details. 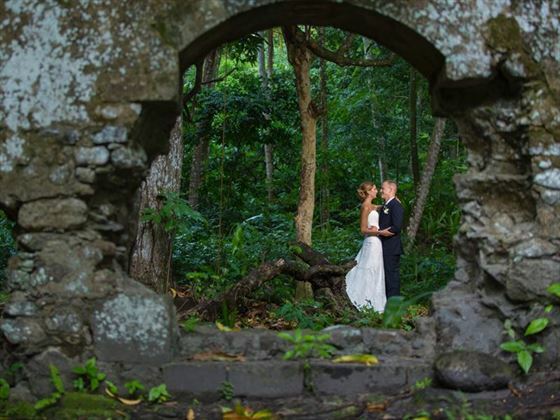 Receive the Classic Wedding FREE when you travel between 1st May - 19th December. To qualify, stay 9 nights or more on all inclusive board basis. This offer is exclusive to Tropical Sky. Valid original 10-year UK/Irish passport which expires more than 6 months after the date of your return to the UK. In most destinations, your wedding ceremony will be conducted Monday to Friday (excluding local holidays). 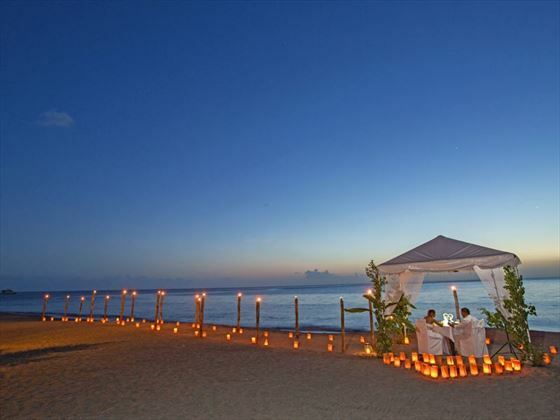 In some destinations, local festivals and holidays will determine available wedding dates. 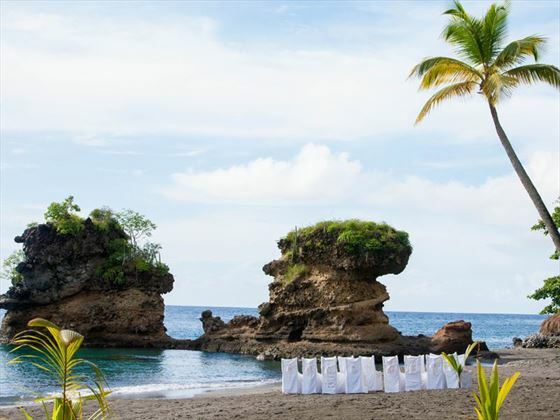 Generally, your wedding will take place in the grounds of the hotel unless otherwise specified. Many hotels offer wedding gazebos for extra privacy. Some hotels may offer more than one wedding per day with the first wedding taking place at around 10am with the last wedding at 4pm. 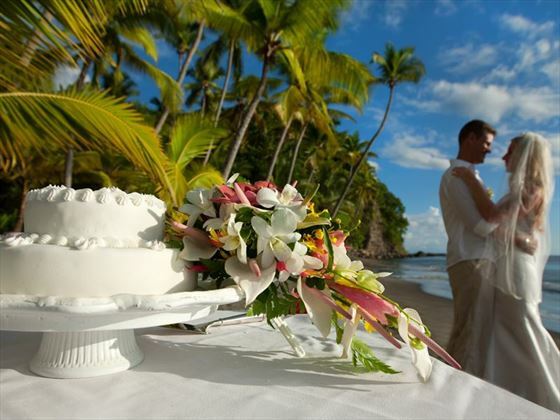 The majority of our weddings are conducted by a marriage officer whose title varies depending on the resort. Where it is possible to be married by a Minister, the ceremony will be non denominational unless otherwise stated and will be a Civil wedding.